This construction video is based on a Final Year Project in 4th Year Civil Engineering at the University of Limerick and it is made by Pádraig Sweeney. The video briefly explains fundamental principles of punching shear. Punching shear stands for a type of failure of reinforced concrete slabs that happens owning to extreme localized forces. 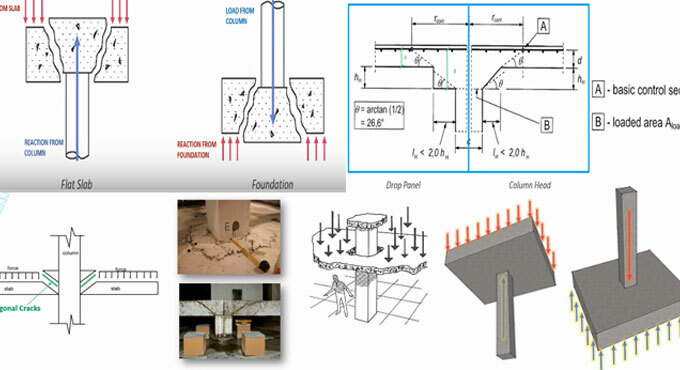 In flat slab structures It happens at column support points. The failure occurs because of shear. Perfect assumption of punching shear strength is a vital factor and very much essential for engineers to design a structure securely. 3. Verify, if the design reinforcement is sensible, if not, rectify form of structure.